I am very happy to see you all charged to march ahead to new heights in this year. I am quite amazed with the number of new bloggers popping up everyday and the wonderful events getting more interesting with new challenges . Hmm… got to catch up a lot of things after a long gap. Anyway “A very happy n flavourful new year for every charming angel out there.” Ciao n Take care! Wonderful to have you back….A very Happy New Year to you 🙂 Welcome back !! I do feel energized by your warm greeting. Thank you. That’s sweet of you Seema. Thank you for dropping by. Hmm…Coffee…you have a refreshing name buddy. Nice blog out there. Wonderful New Year to you too! Arsu hi!where were you?Wishing you a great new year too! I feel special by your concern Sumitha.. Very happy for being welcomed back. Thank you. Welcome back! Happy new year to you too. Happy New Year to you too!!! 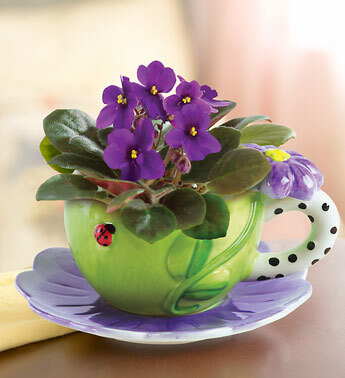 That picture of the lilac coloured flower, aesthetically placed in the matching cup and saucer looks so beautiful. Certainly sends out positive vibes for a new and enriching year ahead. All the best! Hey ….. wats up??!!! havent seen you around in a while. Good to see you back Arsu, new template looks great! Hey, you’ve got a great blog. Check out http://www.behindtheburner.com, a new site that’s going to offer tips and tricks on all things culinary as well as videos and interviews of NYC’s top chefs!